We believe that lasting results can be better achieved through partnership and collaboration. That's why we created our partner network. Our partner network is an Additive Manufacturing (AM) community by TBGA that brings specialized expertise and knowledge together to help AM users become more competent in understanding all facets of the industry. TBGA believes this is a strong path to identify and utilize the strengths of each member to better service its global customers and the additive community at large. Learn more about a few members of our network below. Expanse Microtechnologies Inc. provides unparalleled analyses of X-ray CT data focused on improving the understanding of additive manufacturing processes and advanced materials. 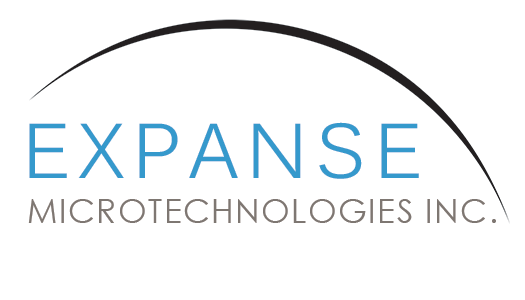 The partnership benefits Expanse Microtechnologies by offering additive manufacturing consulting services to its clients through The Barnes Group Advisors. The consulting service we provide gives more depth to the interpretation and understanding of Expanse's characterization results in terms of the client's overall additive manufacturing process. X-ray CT scanning analysis expertise is rare in this industry, and we now have the tools to acquire or interpret CT data, and offer high quality characterization services through Expanse. We also now offer specialized training courses in CT scanning as an inspection tool through this partnership. Expanse staff have more than 40 years experience in the acquisition and analysis of X-ray CT data and development of advanced materials and their processing methods. At Expanse, research and industry expertise is devoted to providing customers with the critical analyses needed to guide their product, materials, and process developments. http://www.expansemicro.com. We entered into a Strategic Partnership for metal Powder Training & Development for Additive Manufacturing with LPW in June of 2018. The training program includes topics on AM Materials 101, Powder Production Methods, Material Testing Methods, and Advanced Specification Writing. LPW, headquartered in Cheshire UK, is a provider of metal powders for additive manufacturing and associated materials handling and consulting services. https://www.lpwtechnology.com.